It appears that the Mixed Martial Arts megastar is set to feature in a Hollywood production documenting his stellar rise from humble beginnings to one of the world’ most recognizable sportsmen. 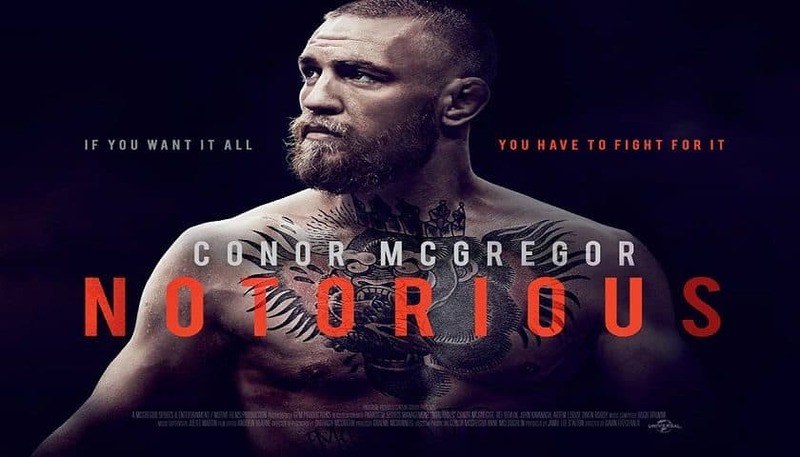 The feature, titled “Notorious”, follows Conor from day one in the UFC, following his meteoric ascent through the featherweight division of the promotion. McGregor, who became the first fighter in the Las Vegas-based outfit’s history to hold two championship titles simultaneously, will see his career in the promotion right up to UFC 205 beamed from the silver screen. Coming Soon – The official story of the unstoppable rise of @thenotoriousMMA Conor McGregor. “Coming Soon – The official story of the unstoppable rise of @thenotoriousMMA Conor McGregor. Here is another power move for you to get excited about. Happy Monday. “Here is another power move for you to get excited about. Happy Monday.” McGregor wrote. This will not be the first time that McGregor has seen his career documented on film. A six-part series, which was also branded “Notorious”, was produced and broadcast by Irish television network RTE in 2015. While Universal have yet to confirm comprehensive details such as a release date for the feature, it is expected that the film will be buoyed by the huge interest level and publicity surrounding the Irishman’s boxing bout with ring legend Floyd Mayweather on Aug. 26. McGregor is currently preparing for that bout, which will be his first foray into the world of professional boxing. What Can Conor McGregor Expect Against Floyd Mayweather?